Recall 105031 started on 07/21/2014 by MFR effecting 7,304 units. Summary: Dorman Products, Inc. (Dorman) is recalling certain replacement intermediate steering shafts sold under the Dorman, OE Solutions, and Solutions brand names, part numbers 425-167, 2425167, and 7-3074, for installation on 2004-2012 Chevrolet Malibu, 2005-2010 Pontiac G6, and 2007-2009 Saturn Aura vehicles. The affected steering shafts may have a yoke that inadequately supports the u-joint bearing resulting in a premature failure. Consequence: A joint bearing that fails prematurely may cause separation of the u-joint resulting in a complete loss of steering control, increasing the risk of a crash. Remedy: Dorman will notify owners, and dealers will refund the purchase price or replace the steering shafts, free of charge. The recall began in September 2014. Owners may contact Dorman customer service at 1-800-523-2492. Recall 103565 started on 05/14/2014 by ODI effecting 2,440,524 units. Summary: General Motors LLC (GM) is recalling certain model year 2004-2012 Chevrolet Malibu vehicles manufactured May 16, 2003, through October 11, 2012, 2004-2007 Malibu Maxx vehicles manufactured June 25, 2003, through April 5, 2007, 2005-2010 Pontiac G6 vehicles manufactured May 26, 2004, through January 4, 2010, and 2007-2010 Saturn Aura vehicles manufactured April 24, 2006, through May 26, 2009. In the affected vehicles, increased resistance in the Body Control Module (BCM) connection may result in voltage fluctuations in the Brake Apply Sensor (BAS) circuit. These fluctuations can cause one or more of these conditions: the brake lights to illuminate without the brake pedal being pushed; the brake lights to not illuminate when the pedal is pushed; difficulty disengaging the cruise control; moving the gear shifter out of the 'PARK' position without pushing the brake; and disablement of crash avoidance features such as traction control, electronic stability control, and panic braking assist features. Consequence: Any of the above failure conditions increases the risk of a crash. Remedy: GM will notify owners, and dealers will attach the wiring harness to the BCM with a spacer, apply dielectric lubricant to both the BCM and harness connector and the BAS and harness connector, and will relearn the brake pedal home position, free of charge. The manufacturer distributed an Interim letter to customers on July 14, 2014. The recall began on August 18, 2014. Owners may contact General Motors customer service at 1-800-222-1020 (Chevrolet), 1-800-762-2737 (Pontiac), 1-800-553-6000 (Saturn). GM's number for this recall is 13036. Recall 103566 started on 05/14/2014 by ODI effecting 2,440,524 units. Recall 103567 started on 05/14/2014 by ODI effecting 2,440,524 units. Recall 103568 started on 05/14/2014 by ODI effecting 2,440,524 units. Recall 103569 started on 05/14/2014 by ODI effecting 2,440,524 units. Recall 103983 started on 04/30/2014 by ODI effecting 1,131,113 units. Summary: General Motors LLC (GM) notified the agency on April 29, 2014, that they are recalling 56,214 model year 2007 and 2008 Saturn Aura vehicles. 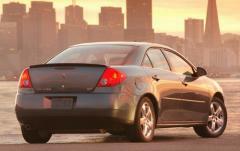 On May 22, 2014, GM increased the recall to include an additional 1,074,899 model year 2004-2008 Chevrolet Malibu vehicles manufactured from May 16, 2003, through October 5, 2007, model year 2004-2007 Malibu Maxx vehicles manufactured from June 25, 2003, through April 5, 2007, and model year 2005-2008 Pontiac G6 vehicles manufactured from May 26, 2004, through September 28, 2007, and equipped with 4-speed transmissions. The total number vehicles being recalled is now 1,131,113. Consequence: If the transmission shift cable fractures while the vehicle is being driven, the transmission gear selection may not match the indicated gear and the vehicle may move in an unintended or unexpected direction, increasing the risk of a crash. Furthermore, when the driver goes to stop and park the vehicle, despite selecting the ¿PARK¿ position, the transmission may not be in ¿PARK.¿ If the vehicle is not in the "PARK" position there is a risk the vehicle will roll away as the driver and other occupants exit the vehicle or anytime thereafter. A vehicle rollaway increases the risk of injury to exiting occupants and bystanders. Remedy: GM will notify owners, and GM dealers will replace the shift cable assembly and mounting bracket, free of charge. The manufacturer has not yet provided a notification schedule. Owners may contact General Motors at 1-800-553-6000. GM's number for this recall is 14152. Recall 103984 started on 04/30/2014 by ODI effecting 1,131,113 units. Recall 102506 started on 03/31/2014 by ODI effecting 1,373,177 units. Summary: General Motors LLC (GM) is recalling certain model year 2004-2006 and 2008-2009 Chevrolet Malibu, 2004-2006 Malibu Maxx, 2009-2010 HHR (non-turbo), 2010 Cobalt, 2008-2009 Saturn Aura and 2004-2007 Ion, and 2005-2009 Pontiac G6. In the affected vehicles, there may be a sudden loss of electric power steering (EPS) assist that could occur at any time while driving. Consequence: If power steering assist is lost, greater driver effort would be required to steer the vehicle at low speeds, increasing the risk of a crash. Remedy: GM will notify owners, and dealers will perform one of four bulletins. Parts are not currently available. GM expects to send an interim notification around May 28, 2014. When parts are available, owners will be mailed a second letter to come in to have the applicable bulletin applied. 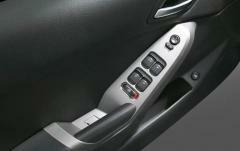 Bulletin 14115 covers model year 2004-2007 Saturn Ion, 2009-2010 Chevrolet HHR and 2010 Chevrolet Cobalts. Dealers will replace the EPS motor. Bulletin 14116 covers model year 2004-2006 Chevrolet Malibu and Malibu Maxx, 2005-2006 Pontiac G6 and 2008-2009 Chevrolet Malibu, Pontiac G6 and Saturn Aura built from March 1, 2008, through June 27, 2008. Dealers will replace the torque sensor assembly. Bulletin 14117 covers model year 2008 Chevrolet Malibu, Pontiac G6 and Saturn Aura built from February 1, 2008, through February 28, 2008. Dealers will replace the torque sensor assembly and EPS motor controller unit. Bulletin 14118 covers model year 2008 Chevrolet Malibu, Pontiac G6 and Saturn Aura built from October 1, 2007, through January 31, 2008. Dealers will replace the EPS motor controller unit. The recall began on July 17, 2014. 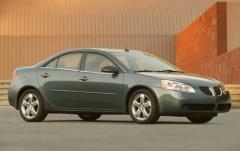 Owners may contact Chevrolet at 1-800-630-2438, Saturn at 1-800-553-6000, and Pontiac at 1-800-620-7668. GM's number for this recall is N140115. Note: GM bulletin number 14119 will be implemented for model year 2006-2008 and early production of 2009 Chevrolet HHR (non-turbo) and model year 2003 Saturn ION to provide EPS Motor replacement for the life of the vehicle. Recall 87438 started on 01/30/2009 by ODI effecting 8,012 units. 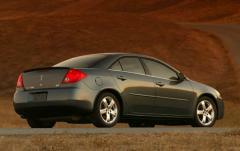 Summary: GM IS RECALLING 8,012 MY 2005-2006 PONTIAC G6 VEHICLES. THE BRAKE LAMPS MAY NOT OPERATE PROPERLY BECAUSE OF CORROSION IN A WIRING CONNECTOR. CORROSION IN THE CONNECTOR COULD CAUSE THE BRAKE LAMPS TO ILLUMINATE WHEN THE BRAKE PEDAL HAS NOT BEEN DEPRESSED, OR THE LAMPS MAY NOT ILLUMINATE WHEN THE BRAKE PEDAL IS DEPRESSED. IN ADDITION, THE CRUISE CONTROL MAY NOT ENGAGE, AND GREATER BRAKE PEDAL FORCE MAY BE REQUIRED TO SHIFT THE VEHICLE OUT OF PARK. Consequence: BRAKE LAMPS THAT ARE NOT OPERATING PROPERLY MAY NOT WARN A DRIVER IN A FOLLOWING VEHICLE OF THE BRAKING STATUS AND COULD LEAD TO A CRASH WITHOUT PRIOR WARNING. Remedy: DEALERS WILL APPLY A DIELECTRIC LUBRICANT TO THE CONNECTOR TO PREVENT CORROSION. THIS SERVICE WILL BE PERFORMED FOR YOU FREE OF CHARGE. THE RECALL BEGAN ON FEBRUARY 17, 2009. OWNERS MAY CONTACT PONTIAC AT 1- 800-620-7668 OR OWNER CENTER AT WWW.GMOWNERCENTER.COM. Notes: GM RECALL NO. 80317.CUSTOMERS MAY ALSO CONTACT THE NATIONAL HIGHWAY TRAFFIC SAFETY ADMINISTRATION'S VEHICLE SAFETY HOTLINE AT 1-888-327-4236 (TTY 1-800-424-9153), OR GO TO HTTP://WWW.SAFERCAR.GOV . Recall 55288 started on 03/14/2005 by MFR effecting 35,777 units. Summary: CERTAIN PASSENGER VEHICLES FAIL TO CONFORM TO THE REQUIREMENTS OF FEDERAL MOTOR VEHICLE SAFETY STANDARD NO. 225, 'CHILD RESTRAINT ANCHORAGE SYSTEMS.' THE CHILD RESTRAINT LOWER ANCHORS IN THE CENTER REAR SEATING POSITION ARE LOCATED APPROXIMATELY 90MM BEHIND THE CORRESPONDING Z-POINT OF THE CHILD RESTRAINT FIXTURE (CRF). THE OWNER'S MANUAL STATES THAT ANCHORS ARE AT THE OUTBOARD SEATING POSITIONS ONLY. Consequence: WITHOUT ADDITIONAL AND CORRECTED OWNER'S MANUAL INFORMATION, AN OWNER MAY ENCOUNTER DIFFICULTY IN INSTALLING CHILD RESTRAINTS WITH RIGID ATTACHMENTS IN THE CENTER POSITION. Remedy: OWNERS WILL BE MAILED AN OWNER'S MANUAL SUPPLEMENT. THE RECALL IBEGAN ON MARCH 20, 2005. 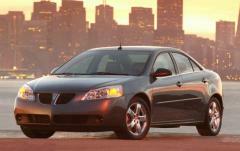 OWNERS MAY CONTACT PONTIAC AT 1-800-620-7668. Notes: GM RECALL NO. 05005.CUSTOMERS MAY ALSO CONTACT THE NATIONAL HIGHWAY TRAFFIC SAFETY ADMINISTRATION'S VEHICLE SAFETY HOTLINE AT 1-888-327-4236 (TTY 1-800-424-9153), OR GO TO HTTP://WWW.SAFERCAR.GOV. © Copyright 2019 AutoDetective.com. All Rights Reserved.